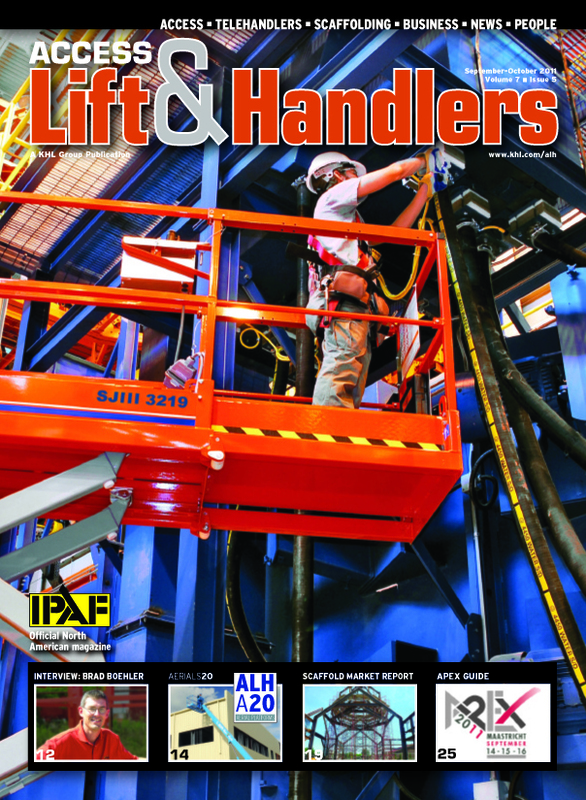 Access, Lift & Handlers magazine’s September – October 2011 issue features a wonderful article by Lindsey Anderson. In her Scaffold Market report she takes a look at how the recession has affected the overall scaffold and scaffolding industry and how companies are adapting to be successful. She features several heavy hitters in the industry including Superior Scaffold, Philadelphia, PA. The article also features several job photographs taken by Erik Highland. Photographs include the renovation at Temple University’s Baptist Temple Church into the new performing arts center, the new Capital Health Hospital in Hopewell, NJ, and the renovation of Independence Hall tower in downtown Philadelphia. You can read the article titled, Shifting Markets here. There are also several great quotes from CEO, Guy Bianchini on the long term outlook for Superior and others in the scaffolding industry. Thanks to Lindsey for featuring Superior in ALH – and kudos for a great job on the Magazine Article. This entry was posted on Friday, October 21st, 2011 at 6:04 pm	and is filed under News & Updates. You can follow any responses to this entry through the RSS 2.0 feed. Both comments and pings are currently closed.